Beirut (AFP) - Syria is expected to soon follow in Iraq's footsteps in proclaiming victory against the Islamic State group, whose fighters are either on the run or trapped and largely toothless. On Saturday, the Baghdad government declared the end of a huge military effort that saw Iraqi forces painstakingly reclaim every little piece of the third of the country the jihadists controlled three years ago. The Syrian side of the "caliphate" IS proclaimed in 2014 has also disintegrated, with now only gaggles of fighters launching short-lived attacks or clinging to small pockets where they are completely besieged. 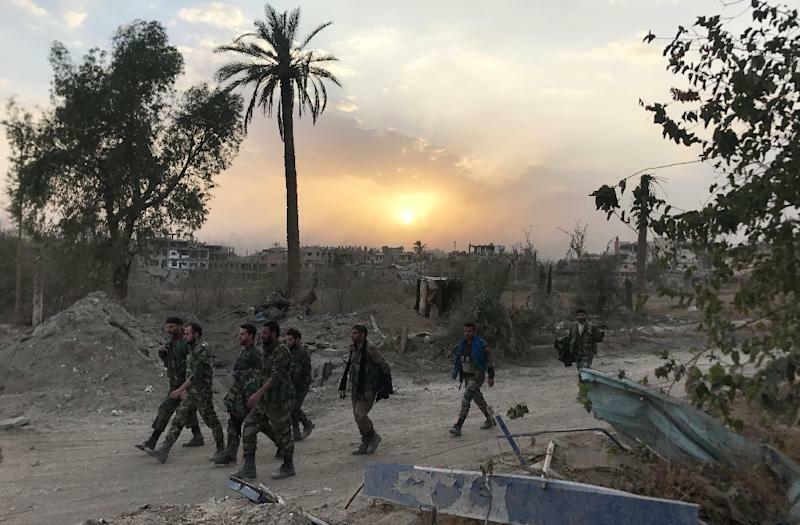 IS no longer controls a single town in Syria and while it may still count several thousand fighters among its ranks, observers expect Damascus to declare final victory before the end of the year. Syria's top ally Russia called it last week when senior military officer Sergei Rudskoi claimed "Syria has been completely liberated from fighters of this terrorist organisation". On Sunday, French President Emmanuel Macron argued that was slightly premature and predicted that "military operations against Daesh (IS) in Syria will continue until mid- to late February". Rami Abdel Rahman, who heads the Britain-based Syrian Observatory for Human Rights, argued that IS was now largely rudderless and that surviving units were essentially fending for themselves. "There no longer is one central command giving orders. IS has been turned into groups scattered over Syria," said Abdel Rahman, whose monitoring group relies on a wide network of sources across the country. The group's fighters are most active in Syria's eastern Deir Ezzor province, where they are defending the last specks of land that used to be part of their "caliphate". Several hundred fighters remain in that province alone, not enough to plan any realistic territorial reconquest but enough to cause damage in guerrilla-style attacks. According to Abdel Rahman, 23 pro-government forces were killed Monday in an attack near Albu Kamal, the last major town IS controlled fully before it eventually lost it in November. + The group still holds 18 villages on the eastern side of the Euphrates river in Deir Ezzor province, according to the Observatory. + It controls a small area in the northeastern province of Hasakeh, which Kurdish-led forces hope to reclaim swiftly. + The jihadists also hold remote areas in the central Homs province, mostly two pockets which the regime is expected to take on soon. + IS fighters are also in a small sliver of Hama province, further north, where they are battling jihadists from a rival group. + IS also has a presence in the Palestinian refugee camp of Yarmuk, in Damascus, but IS fighters there have been besieged for years. 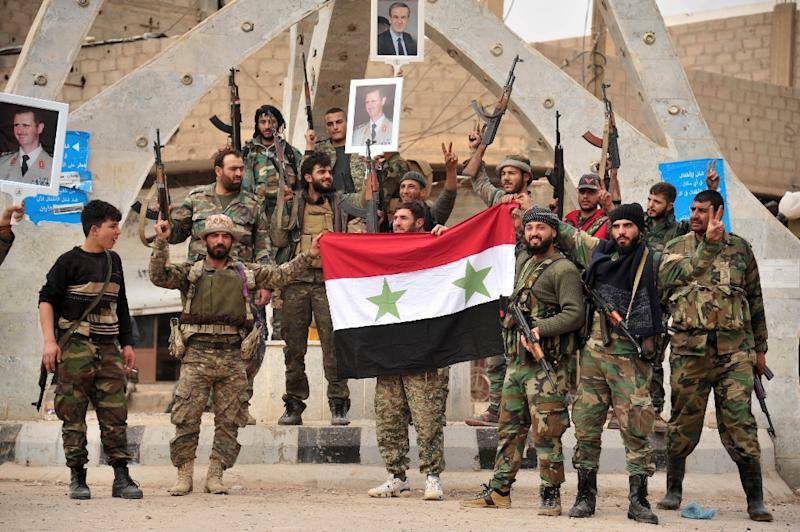 + The group also has fixed positions in two other areas of southern Damascus, Hajar al-Aswad and Tadamun. + In the southern province of Daraa, fighters affiliated to IS also have a small presence. "We will probably witness the end of IS as a land-holding force very soon but it will keep existing through sleeper cells," Abdel Rahman said. 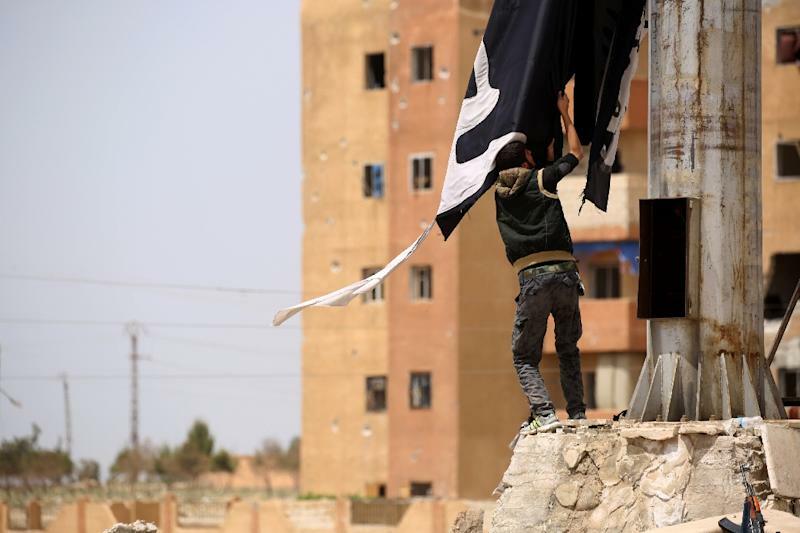 As the myriad of anti-jihadist forces clawed back land from IS over the past three years, thousands of routed jihadists are believed to have simply melted back into the desert or blended into civilian life. The "caliphate" was doomed almost from birth and IS has long begun morphing back into an insurgency that can still strike almost anywhere in Iraq and Syria with deadly suicide attacks. "It has tried to maintain governance where it exercises formal and full control, but the norm now is functioning as an insurgent group," said Aymenn Jawad al-Tamimi, an academic and expert on jihadists. The whereabouts and current level of involvement of IS supremo Abu Bakr al-Baghdadi are unknown. The group no longer has a clear centre of power and its once unstoppable propaganda machine is sputtering out a now anaemic production. "I am sure there is still a chain of command but the overall structure is likely less cohesive than before," Tamimi said.